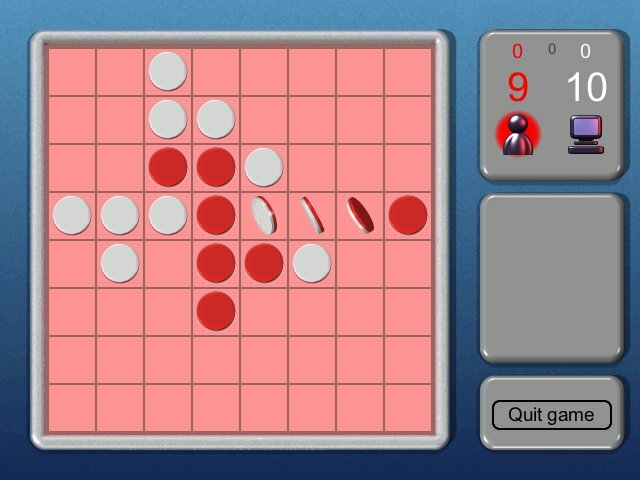 Red vs. White is my computer game version of the classic board game known as Reversi or Othello. The game takes a minute to learn, but a lifetime to master, it is said. 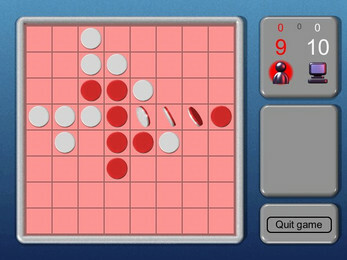 In Red and White you can play against your friend (sitting by the same computer) or against one of three different computer opponents of increasing difficulty. 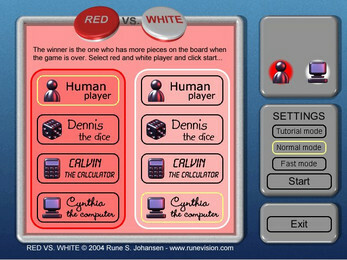 Red and White was made in 2004 as a personal project in my spare time. 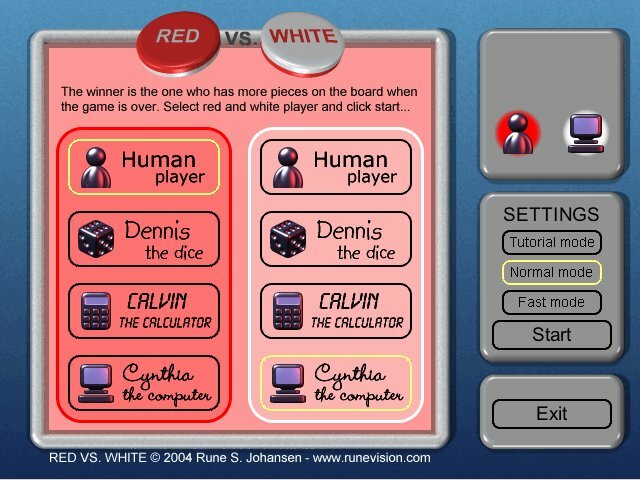 Play against a friend, or one of three computer opponents: Dennis the dice, Calvin the calculator or Cynthia the computer. 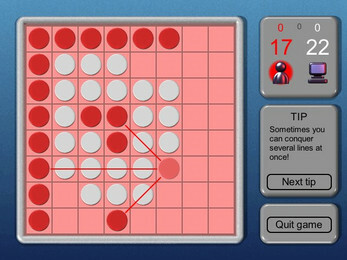 The game's tutorial mode mode gives you tips about the game and also help you by showing what effect it will have to put down your piece at a given empty square. Hey there! Good work. I like the animations. It runs fine in Linux, too, except it doesn't show on the taskbar for some reason.